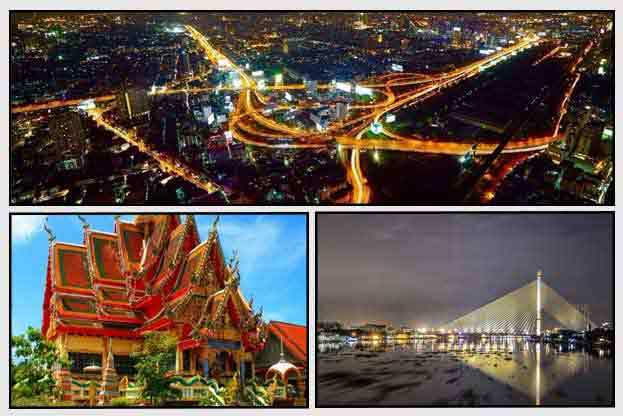 Explore the most beautiful tourist spots in Bangkok now. Majestic. Religious. Sacred. Relaxing. Splendid. These are some of the words that best describe the many tourist destinations in Thailand’s capital city, Bangkok. With the city’s breathtaking scenery which includes the orderly temples and other places fit for a perfect getaway, it became as one of the world’s top destination for sojourn and travel. 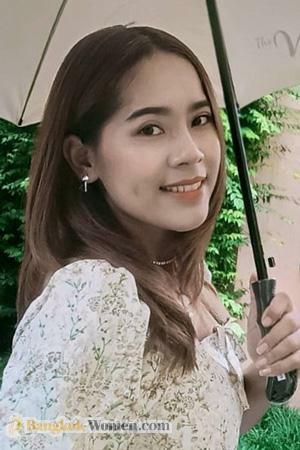 In the years that has passed, millions of visitors have been recorded as one glaring proof of the very well-established tourism in Bangkok Thailand. The city was also named as “World’s Best City” for years, a prestige given by a famous magazine - Travel + Leisure. Each year, the country is experiencing a vast growth of its stance in the world of travel and tours. To name some of the highlights, these include: temples, palaces, parks, museums and its nightlife. 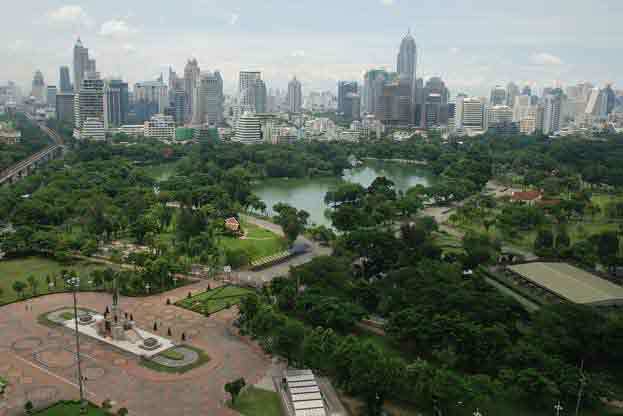 Lumpini Park, one of your go-to places in Bangkok. It is accepted that most of what you see in Bangkok are the buildings and great skylines. You might not know, but behind these structures is a beautiful haven named “Lumpini Park”. A park made for a laid back experience and a peaceful haven from a very bustling and busy city life. An artificial lake is also available in the area which tourists can enjoy by renting a boat. The park gives you a rustic atmosphere with its cozy and countryside environment. This park is also perfect for weekend picnics, a good playground for kids, an ideal place for jogging, cycling and trekking. Another park which will give a mellow experience is the Queen Sirikit Park. This place is located in Chatuchak District, in the vicinity of Bangkok. Fountains and the lotus flowers are the best features in the park aside from its antiquity. To give you a taste of a royal past, visiting the “Princess Mother Memorial Park” is a sure choice. This is also part of the featured parks in the city. Gardens can be seen in the park as well as collectibles of the princess and her statue. For the city’s religious side, which is the dominating sector of the tourism in Bangkok, considered to be the temples and wats, tagged as part of Bangkok’s tourist spots. What are some of those? Visit Wat Arun, one of Bangkok’s famous temples. Wat Arun - Considered as Thailand’s landmark is Wat Arun or called as the “Temple of Dawn”. This is the most visited temple in Bangkok, famous for its golden spires and glowing structural designs when reflected by light. Its image at night is the most wondrous, the dazzling appearance it gives is both majestic and alluring, also replicating the outstanding times of Thailand in the 17th and 19th century. Visit Wat Pho, one of Bangkok’s famed temples. Wat Pho - This royal temple is an emblem of the Thai rule under King Rama I. This is where Thai practices originated such as the Thai medicine and Thai massage. This is also where the reclining Buddha is situated. Wat Pho or Wat Phra Chetuphon is also the largest temple of all temples in Bangkok. Famous for its Giant Swing is Wat Suthat, a branch of Bangkok’s tourism. Wat Suthat - The renovated “Giant Swing” is one of the famed structure in the area aside from one of the oldest temples in Bangkok, which happened to be Wat Suthat or Wat Suthat Thepwararam. Same with Wat Pho, this was also constructed in the time of King Rama I. Know as the “Temple of the Great Relic” is Wat Mahathat, one of Bangkok’s wonders. Wat Mahathat - “Temple of the Great Relic”, a Buddhist temple where relics of the old religious memoirs of Bangkok can be seen. The ancient structures as well as the statues in the temple grounds signifies that of the sacred and revered sector of the Thai people of old and of these days. This temple is known to house the famous Emerald Buddha. Wat Phra Kaew - Aside from housing the famous “Emerald Buddha”, this temple is the most revered and worshipped. Images of Buddha are also used to design the outside structures of the temple. Its appearance at night is explicit because of its golden colors and vibrant look. This is also where a model of Angkor Wat can be seen. Travel Thailand, where beautiful tourist destinations are ahead your experience. Aside from the wondrous temples of Bangkok, there are also museums where replicas of old times, collectibles of ancient Thailand, art galleries, paintings of the royal class, and other antiques are stored. Some of these museums include: The National Gallery Museum, Suan Pakkad Palace, Vimanmek Mansion Museum and The Museum of Siam. The displays vary according to the rule of many leaders of the olden times. The exhibits literally depict the way of living and archaic people of the old Thailand. Bangkok’s tourism is one of the dominating powers in Asia. The tourist spots in Bangkok won’t be well-established if the historical background of the country was not preserved. After all, it’s the people who should be the significant factor in improving one’s state, and that is true to Bangkok. 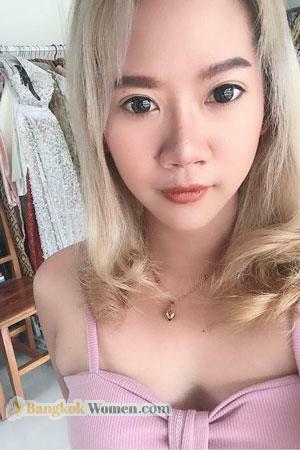 For further enjoyment and pleasure in this metropolitan, clean markets, bazaars, and other amenities, made available in Bangkok. 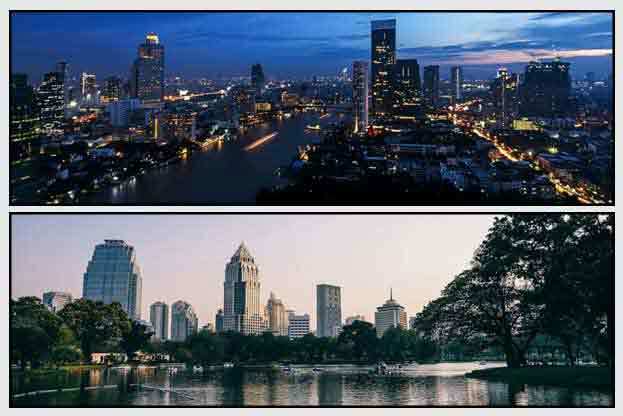 Your safety in the city is the Bangkok’s main property, so rest assure that you can roam around without any danger or hassle, after all it’s named as the “World’s Best City”. Explore the most beautiful places in Bangkok now and see the city’s majestic scenery in an awesome mix of spirituality, history, and culture.